The Océ ClearConnect color touchscreen interface supports multi-touch gestures for intuitive control. It's ideal for decentralized printing environments featuring workgroups of CAD professionals who require both productivity and ease-of-use. 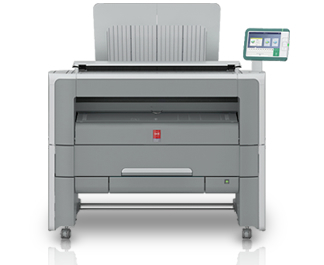 Walk-up users will appreciate the ability to access technical document files from their cloud of choice, preview files on the color screen, and print - all from the printer's touchscreen.